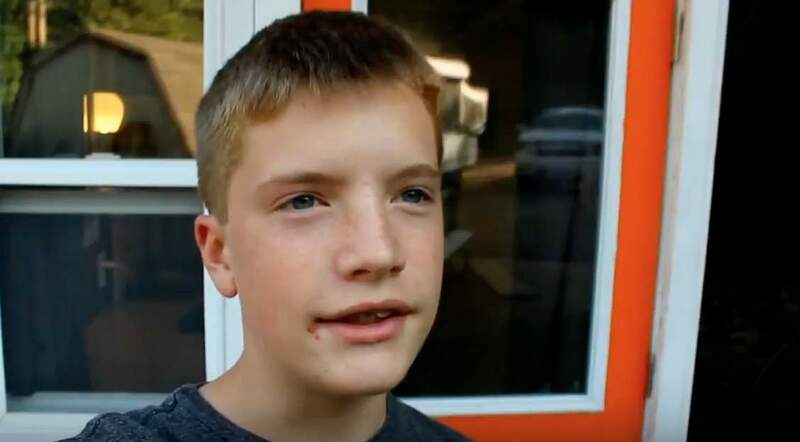 Luke Thiull, 13 years old was not your typical teenager for his age, most kids have other things on their minds besides building houses, but Luke from Iowa is not like any other school going child you have seen before! 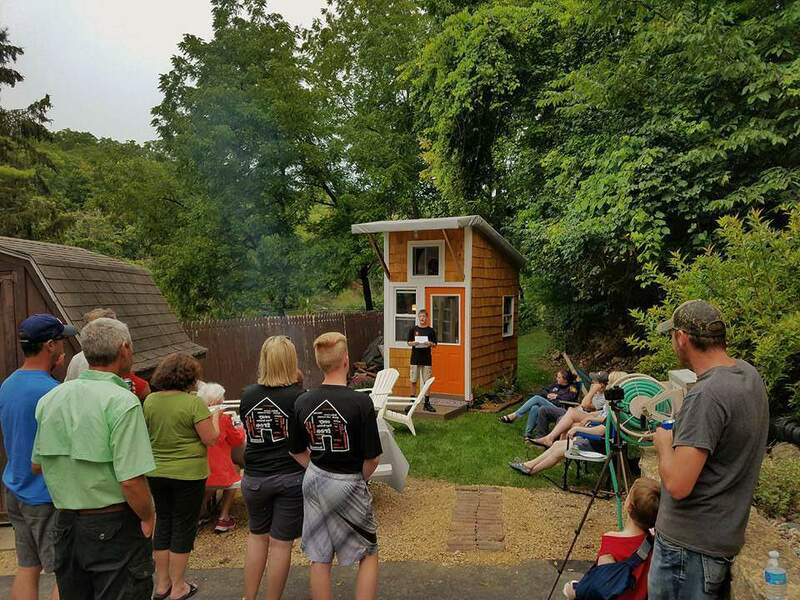 This Talented kid proactively crafted his own little heaven in his own house, situate in his parents back yard; The little project cost him around $1,500 USD but is his dream little house, come and have a look! It is incredible that this bold teenager is doing what he is doing, especially in a time, for youngsters, of smart phones, ipads and revolutionary gaming computers and systems. He decided to bust himself in a more ‘traditional’ way. 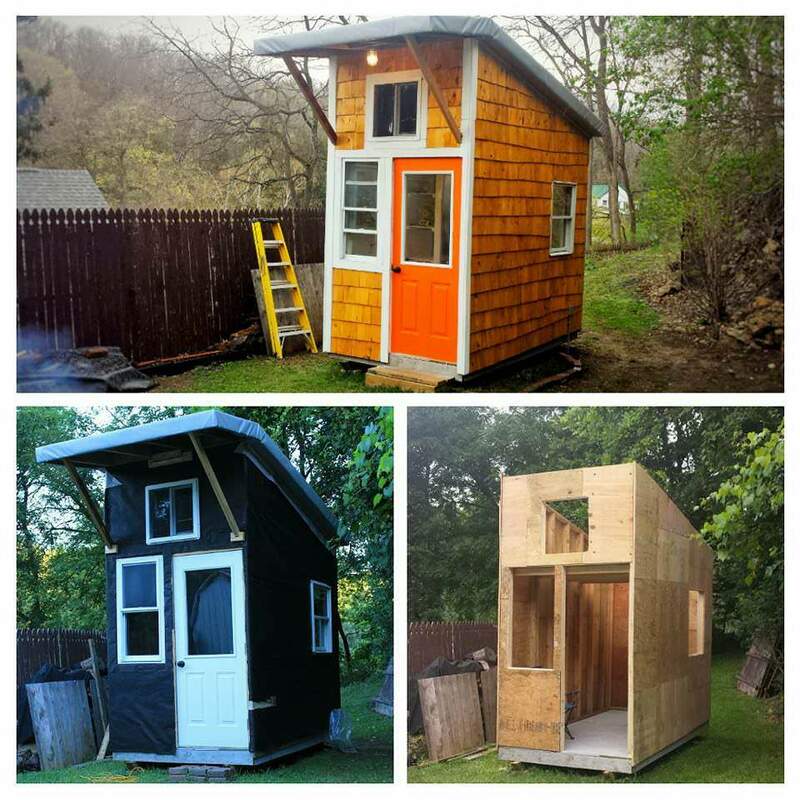 He explains it all on his youtube channel about his desire to build himself a small house and how in respects to his boredom that spurred him on to do it. After a lot of thought and much consideration and quite a bit of research Luke had a pretty good idea how his plan he visualised would come to fruition! It took him in total about a year to get the money and materials all together to do the work on the house, he mowed lawns, did fund raisers online and did jobs for anyone he could and generally did anything he could to raise money. Luke was friends with someone who knew electrics and he helped him install all the electrics in exchange for Luke clearing out all his garage for him, trade for trade so to speak. During his project Luke used about 75% recycled materials, a lot of things left over from his grandma’s house, the front door was a gift from the friend of his uncle! 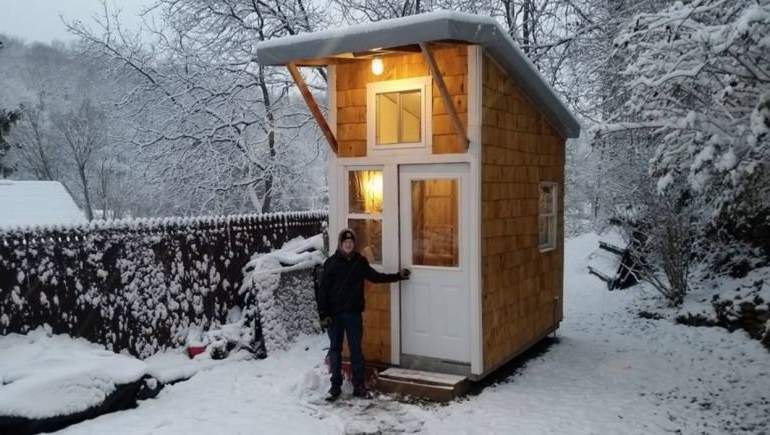 The little house is about 89 square foot and a whole 10 feet in length at around 5 ½ feet wide, it has electricity but no plumbing, so no toilet sink or shower yet! Luke has made many short videos to post on youtube, he tells us about his project, there are many people curious about it and his motivation to do it. 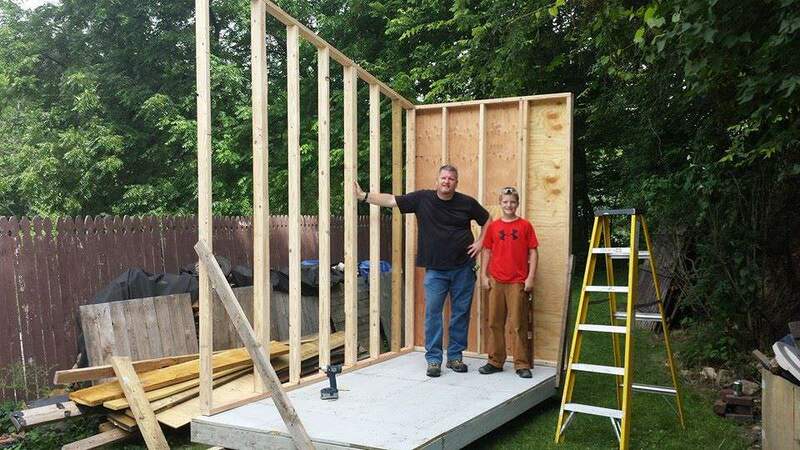 Luke recieved quite a lot of help from his parents both with the building and with the finances, but dad Greg ensured that it was Luke that would pay for most everything himself. The house is a complete dream house for a teenager, a little sanctuary for him to realx and have his own space, it has a microwave, TV and a loft with a bed, there is even a BBQ out back! Luke diligently does his homework after school time in his little house then in the nighttime, at least some of the time, he gets to sleep there too! Luke already has ideas and dreams of building another house, but this time a little bigger for the time when he wants to start college, he also wants to inspire others too! Luke’s storey is an inspiration what a kid can do that has a clear goal and a determined work ethic, and of course a little support from his parents too! Share and like if you too think that more people see and hear about Luke’s awesome little house!